Use the pharmacy search feature to find a Smart Pharmacy near you. Then you will be able to submit refill requests directly from your Apple or Android Device. Additionally, you can use our online interface that offers even more features than the app. 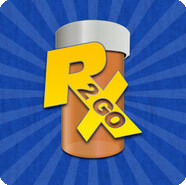 Refill requests submitted using the Rx 2 Go app or through the pharmacy’s internet refill portal appear directly on your pharmacist’s screen!